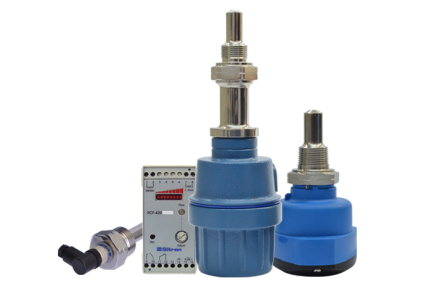 Sitron’s Thermal Dispersion Flow Transmitters provides liquid flow monitoring and control with no moving parts. All models offer the user the ability to easily set the “zero” and “span” of the flow range so that the 4…20mA analog output corresponds to their application requirements. This technology is often an ideal solution when the user needs to approximate flow rates but does not want to invest in higher cost flow meter technologies. Like all of Sitron’s products, the CF420 can be configured to accommodate our customer’s unique process control requirements. Offered in either glass filled nylon or aluminum housings, all models can be ordered with a great variety of threaded, flange, or sanitary process connections or even with separate electronics and process sensor.